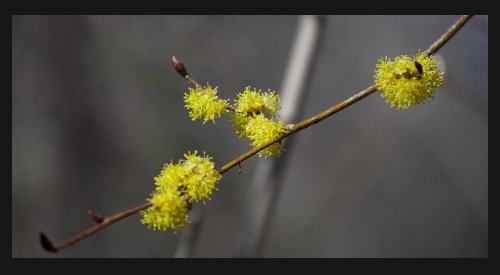 Soft yellow blossoms indicate the heralding of spring in the Geoje mountains. 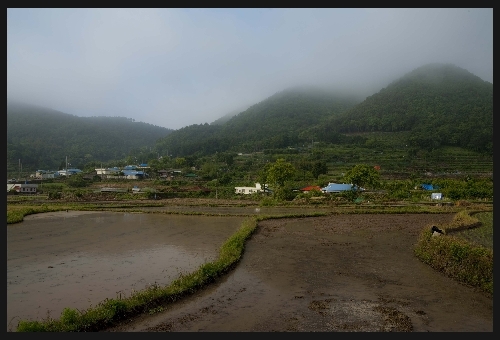 Rows of rice shoots awaiting planting are a common sight around the Geoje Island countryside. 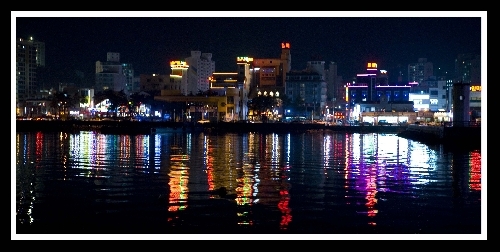 Night time view of Okpo Harbour the reflection of the neon lights creating a stunning collage of colour. 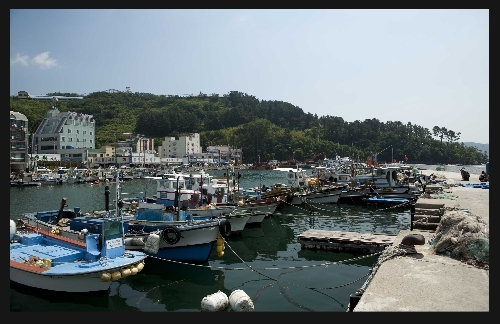 Looking across Okpo harbour towards the haunted funfair on the hill. 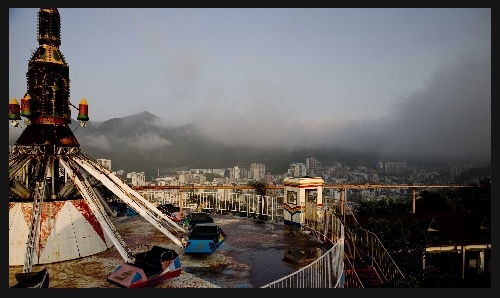 The haunted funfair overlooking Okpo. 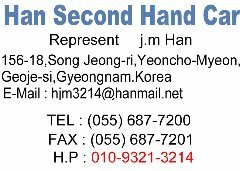 A young girl died after falling from the Roller Coaster a few years ago and the site has remained shut due to legal reasons. 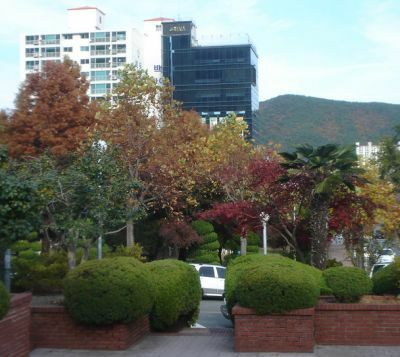 Fall colors outside the Foreigners club.